The Eiffel Tower is one of the most frequently visited monuments worldwide and the epitome of Paris’ landmarks. Don’t miss it! 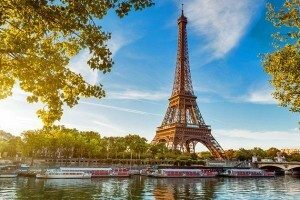 To prevent unpleasant surprises, it is important to be informed about the Eiffel Tower prices to plan your visit and the expenses that go with it. Reduced rates are offered to children and young people who are between 4 to 11 years old, to disabled people as well as to French job seekers with a corresponding proof. Children under the age of 4 can enter the Eiffel Tower for free. Please be aware of the fact that these prices are valid until October 31st 2017 and could be changed at any time. Make the most of your visit and discover the Eiffel Tower off the beaten track! Take part in guided tours and experience the famous monument from a new perspective. The tours include visiting the original machinery room which still operates the lifts, the former bunker underneath the Champ de Mars and the access to the roof of the restaurant “Le Jules Verne” on the 2nd floor. You might even be guided by an actor. Prices start at €30. The metro certainly is one of the easiest ways to go to the Eiffel Tower. 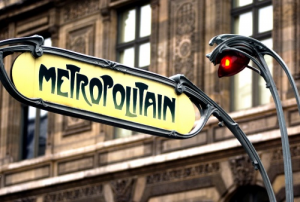 Please click the link at the end of the page to learn all about using metro tickets in Paris. If you arrive by car, please take note that the car parks require additional fees. For instance, on-site fees at Pullman Tour Eiffel car park start at €16,00 for 4 hours. If you want to save money, check out the online platforms of the car parks. Some of them offer discounts for online reservation so that you can lower the price to €12,00 for example. If you are interested in leaving your car at Pullman Tour Eiffel car park, here’s the address: 18 Avenue de Suffren, 75015 Paris. Last but not least, don’t forget to bring some extra money to enjoy the wonderful Champagne Bar and the Official Eiffel Tower Shops! There are also classy restaurants inside the tower but make sure you have a reservation. 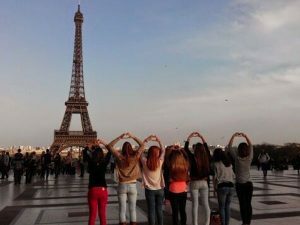 Would you like to include the Eiffel Tower into your trip to Paris? Seize the opportunity and book your tailor made trip here! In any case, you will gain an unforgettable experience!